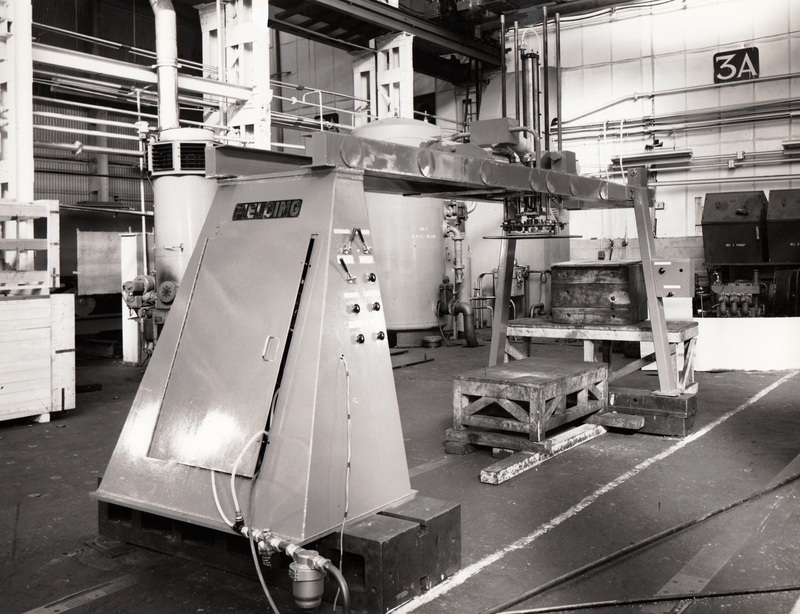 This equipment was used to offload pressed concrete products for ‘flat stacking’ on wooden pallets, before the time when ‘edge stacking’ was developed and perfected. I had the job of building and installing the prototype of this slab takeoff device. It was in 1966, while the world cup was taking place in England – remember it! 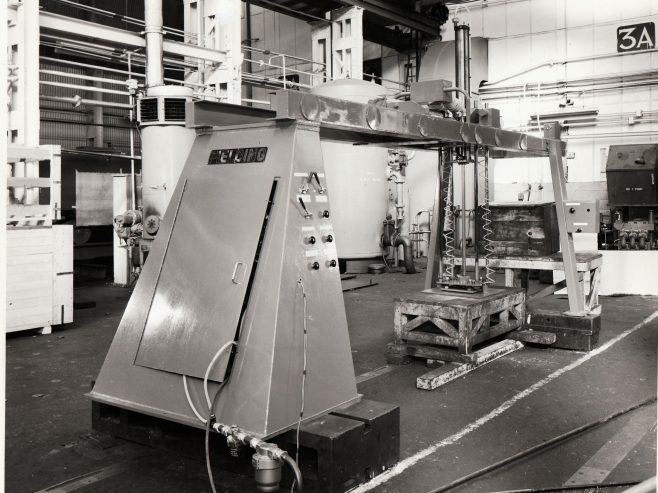 After it was built, I installed it onto an old water press, in Alum Rock in Birmingham. You can imagine trying to synchronise the take off with a very old dilapidated press like this! 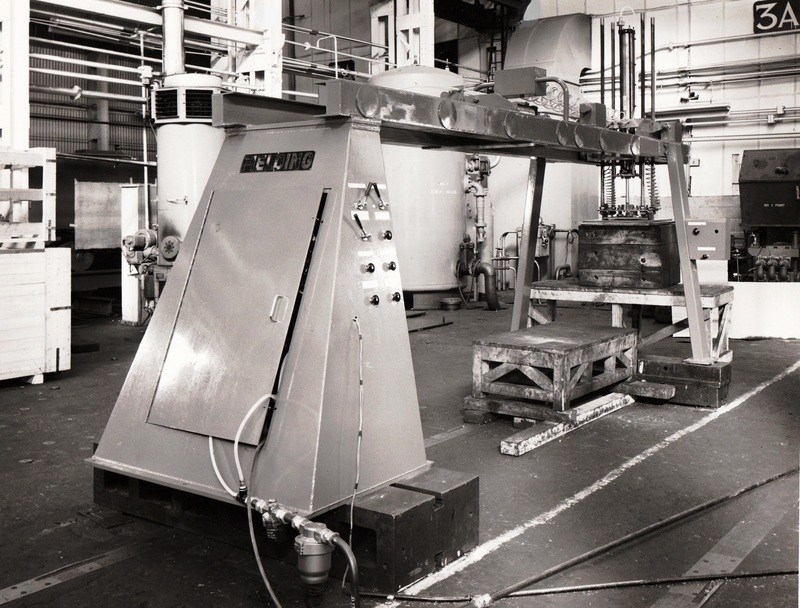 I had suggested we fit an additional air valve to ensure that the slab ejection cylinder on the press and the air cylinder on the takeoff, could not operate at the same time. This idea was not implemented. The equipment was working well, until one day, the two cylinders did decide to operate together. The whole rig leapt into the air, ripped out the foundation bolts and bent the air cylinder on the slab take off! After a trip back to Gloucester to collect a new cylinder I rebuilt the unit – with my limit switch this time! I was only 19, but remember the job well. I was staying in a local hotel and it was full of all nationalities, who had come to the UK for the football. Many of us used to gather in the lounge to watch matches on the TV. Great fun! I even remember the music on the Juke Box in the café where I had my lunch!